A cast iron Dutch oven is definitely a piece of cookware that you should have in your kitchen. Before I got myself the best cast iron Dutch oven in the market, I wasn’t able to make slow-cooked dishes such as beef stew, soups, and braises. Since I wanted to be the kind of home cook that can whip up any meal, I decided to get myself a Dutch oven that would allow me to be the best chef I can be. So if you feel like expanding your cooking knowledge, I really suggest you get yourself one too. Cast iron Dutch ovens can help you make a variety of slow cooked meals that wouldn’t taste the same if you used a regular pot or pan. With a great Dutch oven, you will be able to cook all sorts of food from meaty pasta sauces to flavorful broths. If you want to make sauces with lighter cookware, you may be interested in best copper cookware. Or if what you need is to make a good stock, best sto﻿﻿﻿﻿ck pot can help you make an important ingredient in dishes like soups and sauces. And if you’re not using it for cooking, you can also use it as a great storage for onions, potatoes, or other foods that doesn’t need to be refrigerated. 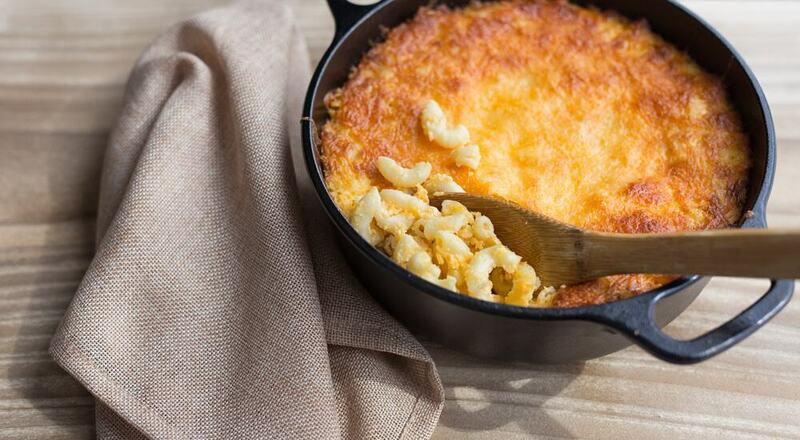 Aside from being a versatile piece of cookware that can help you cook pretty much any type of meal you can think of, cast iron Dutch ovens are great for families since it can accommodate plenty of ingredients to make a meal that can serve a family of four. When buying any sort of product, you should always have a set of standards to consider to ensure that you are getting your money’s worth. When it comes to Dutch ovens, here are a couple of things you should look for before you make a purchase. There are several types of cast iron Dutch ovens made out of different materials that are available in the market. If you want to get the best, you should look for one with an enamel coating. Unlike bare-metal cast-iron Dutch ovens, enamelled Dutch ovens works well with all kinds of food even the acidic ones such as vinegar, lemons, and tomatoes. What’s more is that enamelled Dutch ovens are great for deglazing and monitoring your food’s color because of its white interior. The size of the cast iron Dutch oven you will choose will heavily depend on the size of your stove. There are several sizes you can choose from ranging from small 3-quart Dutch ovens up to 13.5-quart Dutch ovens that is large enough to serve two families of five. To be safe, you should consider getting a light-weight and medium sized 5.5 to 6.5-quart cast iron Dutch oven so that you will be able to cook large cuts of meat. Since cast iron Dutch ovens are made out of iron and delicate enamel coating, you should look for one that you can easily handle. Consider getting a cast iron Dutch oven with large handles you can easily grip with your hands even when you’re wearing oven mitts. There’s no need to worry if you have no clue what kind of Dutch oven you should get, because for this article, I will share with you a couple of tips for buying the best Dutch oven as well as a list of Dutch ovens that you should check out. The Zelancio cast iron Dutch oven is another cheap product that offers the same results as its pricier competitors. Though this 4-quart cast iron Dutch oven is a bit smaller than the standard size, it’s still great for baking, brazing, and slow simmering relatively medium sized meals. 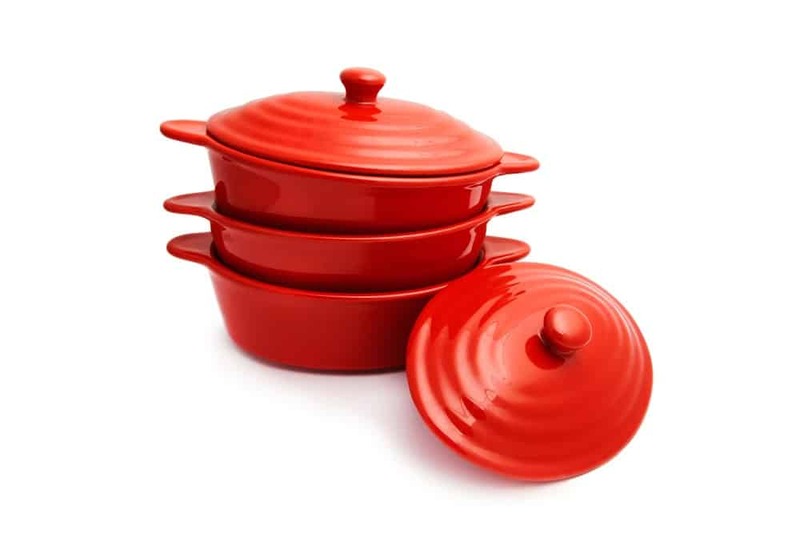 This Dutch oven also comes in a stylish vibrant color that makes it great for presenting food as well. It also has a tight fitting lid that seals in moisture and heat that evenly tenderizes meats, poultry, and vegetables. Another great thing about this product is that its lid has self-basting condensation bumps that help make the food jucier. This 7-quart cast iron Dutch oven is great for making large meals for the family. It’s also great for making stews because of its large surface area that allows more evaporation to happen inside the pan. This means that you will not end up with dry pieces of meat. Another great thing about this cast iron Dutch oven is that it has a porcelain enamel coating that prevents any flavors or odors to stick to your food. However, it does have small handles that can make carrying this rather large Dutch oven quite difficult, especially when wearing oven mitts. Le Creuset is a known brand in the cast iron Dutch oven market, and with its brand comes a hefty price tag. However, you will get a nice 5 ½-quart Dutch oven that’s just the right size for cooking all sorts of meals. It also has large handles that make this product fairly easy to handle even when you are wearing oven mitts. This cast iron Dutch oven also comes with a tight fitting lid that helps lock in all the moisture and flavour of your dish. This product is also supported by a lifetime warranty from the manufacturer. This cast iron Dutch oven is fairly cheap, but can make food as good as its more expensive competitors. This 6-quart cast iron Dutch oven is just the perfect size to whip up medium sized meals with large chunks of meat. It has a light colored interior that can make it easy for you to determine browning when you are cooking stews. This cast iron Dutch oven also has fairly sized handles that can make it easy to carry even when wearing oven mitts. It also comes with a lifetime warranty from the manufacturer. The Utopia cast iron Dutch oven is probably the cheapest one on this list. This Dutch oven might be the one for you if you are on a tight budget. This 5-quart Dutch oven is great for slow-cooking medium sized meals, and it’s fairly light for its size. What’s more is that it comes with great handles that you can easily grip even with oven mitts. However, this product might be a little difficult to clean since it doesn’t have a smooth surface and it isn’t dishwasher safe. Of all the products I have mentioned, the best choice that I recommend for you is the Zelancio 4 Quart Enamelled Cast Iron Covered Round Dutch Oven. Though this Dutch oven is a bit smaller than standard sized ones, it offers great quality for a very low price. What’s more is that it’s very durable and its enamel coating doesn’t easily chip off, making it a truly great piece of cookware. If you liked this article, and would like to read more about cooking or cookware, please leave your feedback in the comment box below. Until next time, enjoy!